Imagine a place where people have been isolated for forty thousand years. In other words, they haven't experienced Judaism, never mind Christianity and Islam, because a whole ocean has separated them from the closest continent. Nevertheless, they come up with their own history of creation, the Dreaming. The bat is the Aboriginal symbol of death..
" You can take food from anywhere you want, in the whole of this country that I have given you, but this is my tree", he warned the two people. "If you try to take food from there, much evil will befall you and those who come after you." Baiame's tree was guarded by a sinister figure with enormous black wings, Narahdarn, the bat. 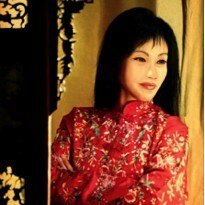 The wife, as wives often do, did the opposite of what she was bade, and "released death into the world." I first was introduced to Detective Harry Hole in The Snowman, part of Jo Nesbø's unsurpassed Scandinavian crime series (second only to Stieg Larsson's Millennium Trilogy, imo). I ended up reading the latter of the series (excellent) and had to work backwards. 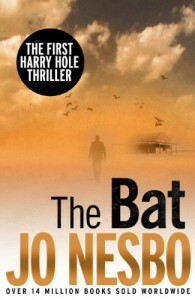 The first ,The Bat , was just recently published in English. I steeled myself for a let -down thinking the first couldn't be up to par with the more developed later books, sort of like the deflated outcome of the Star Wars prequels. In The Bat, Harry is sent to Australia to assist in the murder investigation of a Norwegian woman, which turns out to be one of a rash of serial killings. With the help of Andrew Kensington, a leathery Aboriginal sidekick on the police force, Harry is given an epic view of the Down Under, its folklore, its multicultural society, and the still underlying resentment over lands illegally taken from the native Aborigines. Harry discovers a land as mysterious in its lore as the origins of the murders. I confess, I wasn't too keen on Harry in the first few chapters. His persona was bland, stripped of that endearing sympathetic character I have enjoyed- a sarcastic wit, a dark and brooding, self- destructive soul going deeper into persecution. This, thankfully, started to evolve little by little. I could see how and why Harry became who he became in the latter books. You just want to reach in there and shake him up a bit- in a helpful way. The psychological plot and thriller aspect also seemed to be a work in progress, but not unentertaining at this level. Surely a good start to a great series.